PROFILE are aware that a Training Programme is a vital factor for the continued growth, prosperity and wellbeing of the Company and all Employees. It is continually striving to improve on all aspects of training. As subscribers to the Construction Industry Training Board we are fully informed of courses available for operatives and staff. Attendance on such courses is regularly conducted throughout the year. PROFILE have held and submitted an annual Training Plan with the CITB for over 12 years. PROFILE engage the services of an external Health and Safety Consultancy. This company is known as LRB Health and Safety Consultancy. 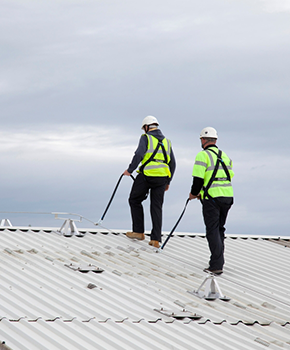 Our external Health and Safety Consultant provides extensive health and safety training, including our Annual Working at Height Training and various other training courses. Associate membership has been established with ARCA (Asbestos Removal Contractors Association). All PROFILE operatives undertake annual Asbestos training each year to ensure that we are informed of all new legislation and practices. PROFILE operatives have attended courses with SpanSet. The training incorporated theory on understanding and awareness of the use and inspection of Work Restraint, Work Position, Fall Arrest and pre-use inspections and checks. 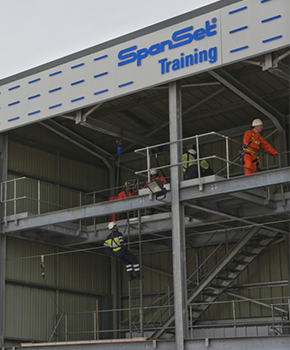 Following the theory training the operatives then undertook the practical training at height at the SpanSet Training Centre. All of the operatives undertaking the course are now certified and carded for 3 Years. Our Contracts Managers have undertaken courses for Competent Person Practical Inspection and Record Keeping. This training enables PROFILE to inspect, record and certify our restraint equipment. PROFILE are working towards 100% CSCS cardholders. As well as undergoing the CITB Health and Safety Test our operatives have undertaken the CITB Site Safety Plus, one day training course, in order to gain their cards, as required under the new CSCS rules. Our Contracts Managers have undertaken the Site Management Safety Training Scheme (SMSTS), which is an industry-recognised course. For operatives operating MEWPS on site, IPAF Training has been undertaken. The IPAF training programme for platform operators was developed by leading industry professionals. Five Key members of the PROFILE staff undertook training for the new CDM 2015 regulations, which came into force on 6th April, 2015. This training was provided by LRB Consultancy. Our external Health and Safety Consultant delivered this training along with Energy Efficiency in Construction and Part L Building Regulations. The Company’s first aid training is provided by St John’s Ambulance and provides life saving first aid in the workplace and workplace health and safety regulations instruction.